The trailer promises an interesting take on romance where the characters are caught between love and respect. Directed by Abhishek Varman, the film is set for release on 17 April. Karan Johar's fascination with the complicated dynamics of human relationships à la Kabhi Alvida Naa Kehna (2006) continues even as a producer. 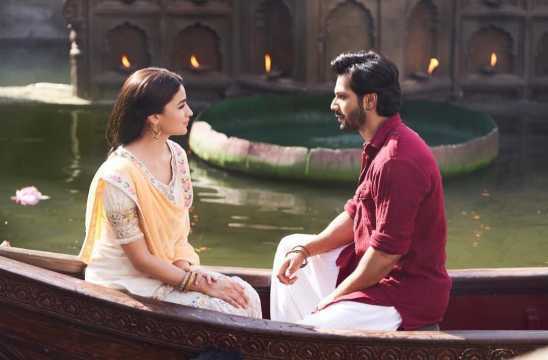 In the upcoming Dharma Productions project Kalank, Abhishek Varman looks to explore the intricate cracks in the tangled web of relationships among Alia Bhatt, Varun Dhawan, Aditya Roy Kapur and Sonakshi Sinha's characters. Lavish in production and beautifully shot, the trailer reflects the grand scale of Abhishek Varman's film. The story revolves principally around the characters of Dev (Aditya Roy Kapur), Roop (Alia Bhatt) and Zafar (Varun Dhawan). The trailer seems to imply that Dev is married to Satya (Sonakshi Sinha), but, for some reason, he is forced into a second marriage with Roop. The line from Sinha's character, "Yeh kaam apni hayaat pe na kar paayi, toh marne ke baad bhi pachtaaungi", suggests a certain helplessness. Hence the agreement that Dev will respect Roop, not love her. This pushes her towards Zafar (Dhawan) and sets the conflict into motion. The drama in Varman's film comes through in the trailer which is packed with enough dialogues and critical moments to keep you intrigued. The trailer also promises an interesting take on romance where the characters are caught between love and respect. The sight of Dev realizing his love for Roop but still helping her to reach out to Zafar at the end seems like a familiar trope. Another interesting angle is the blink-and-miss scene of Zafar having a laugh with Dev, suggesting a camaraderie between the two men vying for the love of the same woman. The most curious part of the trailer is the initial line of dialogue in Alia Bhatt's voice saying 'Mere gusse mei liye gaye ek faisle ne hum sabki zindagi badal di [A single decision of mine, made in anger, has changed our lives].' This, perhaps, refers to the decision of Roop to marry Dev in the first place. Another intriguing character is that of Bahaar Begum (Madhuri Dixit Nene), who seems to imply that she is familiar with such hasty decisions. The lead cast offers an interesting prospect with Varun Dhawan, Alia Bhatt and Aditya Roy Kapur looking impressive in the trailer. Dhawan is convincing as the rakish blacksmith Zafar. Kunal Kemmu brings an interesting angle to the communal riots that broke out during Partition. Sanjay Dutt looks a little offbeat, but looks to have an important role in the film. With the scale, sound, and the passionate revenge-romance drama, the trailer certainly has enough to keep the audience hooked. Kalank, directed by Abhishek Varman, is set for release on 17 April. Watch the trailer below and let us know if you are keen to watch the film as well.